The homespun Hoosier, as Pyle was known, grew up in small-town Dana, Indiana, where the locals became familiar subjects in his syndicated column that eventually ran in more than 300 weekly newspapers. 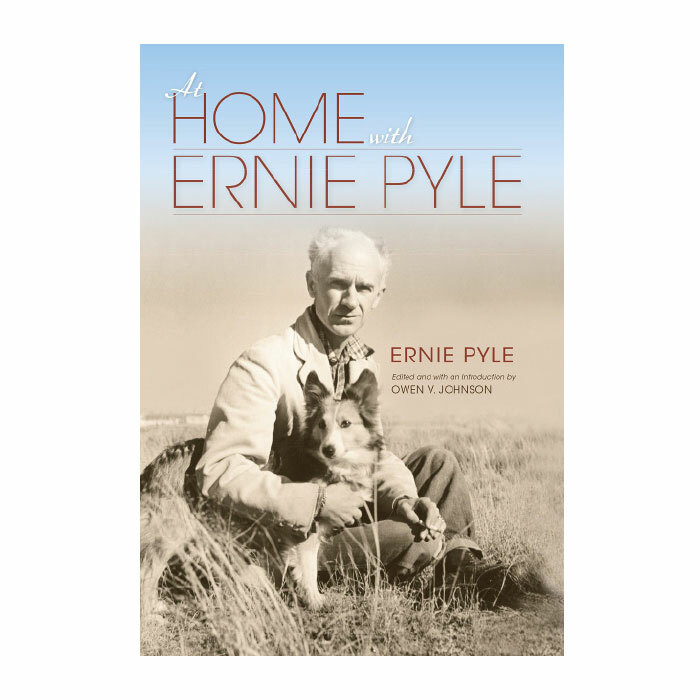 Pyle seemed to attract Hoosiers everywhere he traveled and delighted in telling their stories. As a war correspondent in World War II, he provided welcome updates for the families of military members. “Readers treated his columns like loved ones’ letters from overseas, telling what it was like to be in the war,” writes Johnson, who also wrote the book’s introduction. IN ITALY—(by wireless)—The several Air Force units I’ve been with lately are lousy with Hoosiers. I thought I’d take down their names and put them in the column, but the list got so long I realized it would sound like discrimination and the 47 other states might get mad at me. So, I decided to compromise and name only one. He is Lieut. James F. Short of Clinton, Ind. He has been in the army four years, and was a sergeant up until he got his commission a year ago. He calls himself “one of the 90 day wonders.” He’s only 22, and he is the assistant operations officer of his squadron. The reason I picked Lieutenant Short out of all the Hoosiers is that he was born and raised five miles from that proud metropolis from which I sprang—Dana, Ind.